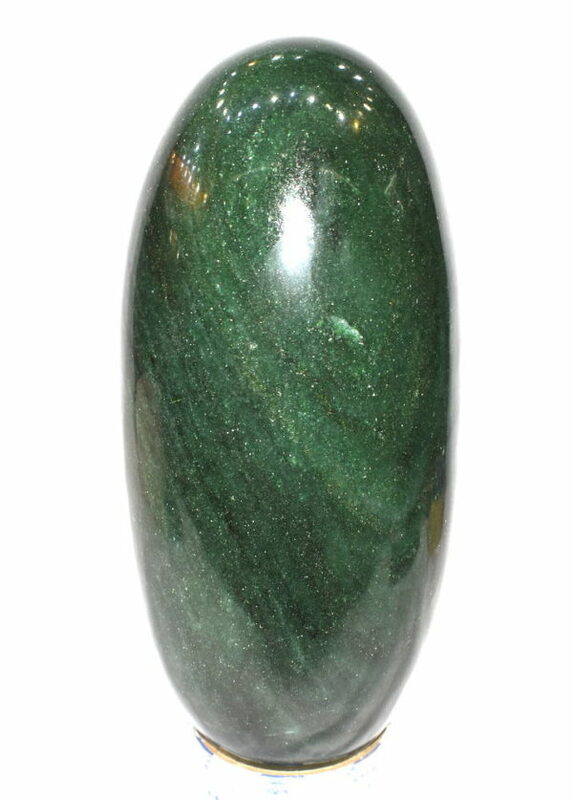 Auspicious Shivlinga is Carved in 100 % Pure Natural Green Jade . Design : Shiva Lingam in Natural Green Jade gemstone is considered highly auspicious and is said to have one of the highest frequency vibration rate. Blesses home with love, harmony and abundance. Shiva lingam connects a devotee with the Supreme Being Lord Shiva. The Shivalingam denotes the primeval energy of the Creator. It is believed that at the end of all creation, during the great deluge, all of the different aspects of God find a resting place in the Lingam; Brahma is absorbed into the right, Vishnu to the left and Gayatri into the heart. Properties: The ancient Chinese culture has revered Jade for centuries. Jade is considered the health, wealth and longevity stone. used also for courage, wisdom, justice, mercy, emotional balance, stamina, love, fidelity, humility, generosity, peace, harmony. Jade is known as androgynous, therefore it is considered having a gentle, steady pulse of healing energy. 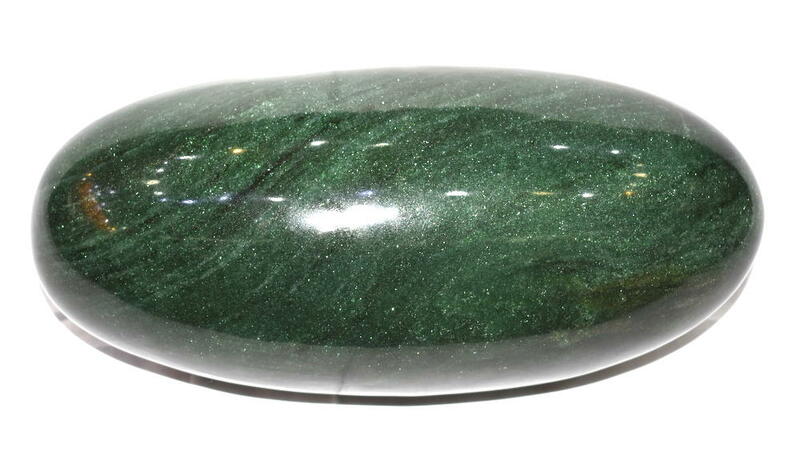 Jade is found in different colors and can be used on the appropriate Chakra based on its color. Properties common to all colors of Jade include its ability to mellow one’s existence. Helps one rid themselves of negative thoughts and energy. Very beneficial to the heart in both physical and spiritual senses. It is a very protective stone and will keep its wearer out of harm’s way. Jade bounds us to our earth energies and physical instincts. Jade is a humbling stone.